33 studio apartments: a bedroom, a bathroom, a living-room, a kitchen. 8 residential houses with two bedrooms, a bathroom, a living-room, a kitchen. 3 residential houses with 4 bedrooms, a bathroom, a living-room, a kitchen, and a terrace. One of these houses has a swimming-pool. 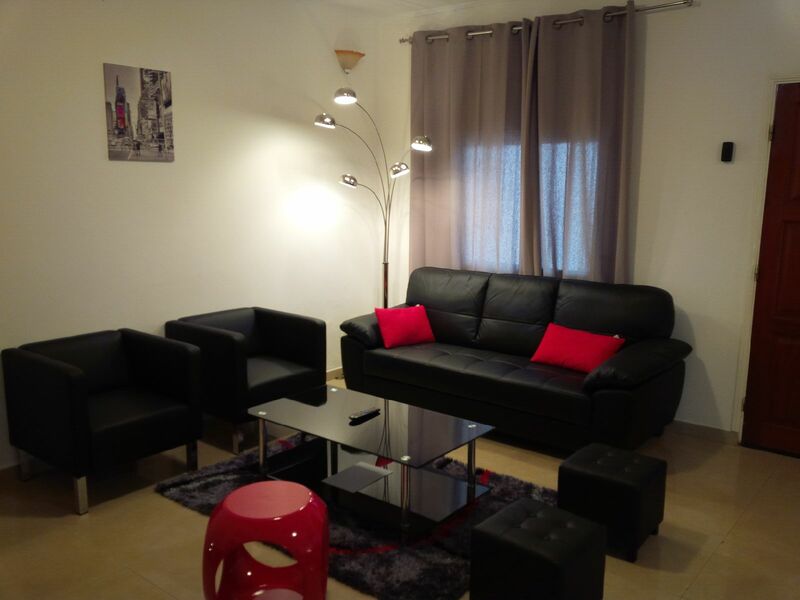 All of our flats are fitted with luxury and modern furnitures, individual air-conditioning system, all home appliances: a fridge, a gas cooker, kitchen utensils, optical fiber WIFI internet connection, DSTV and CANALSAT channels, and electric supply. You have the advantage of all housewives, watchmen, and hotel services 24/7. 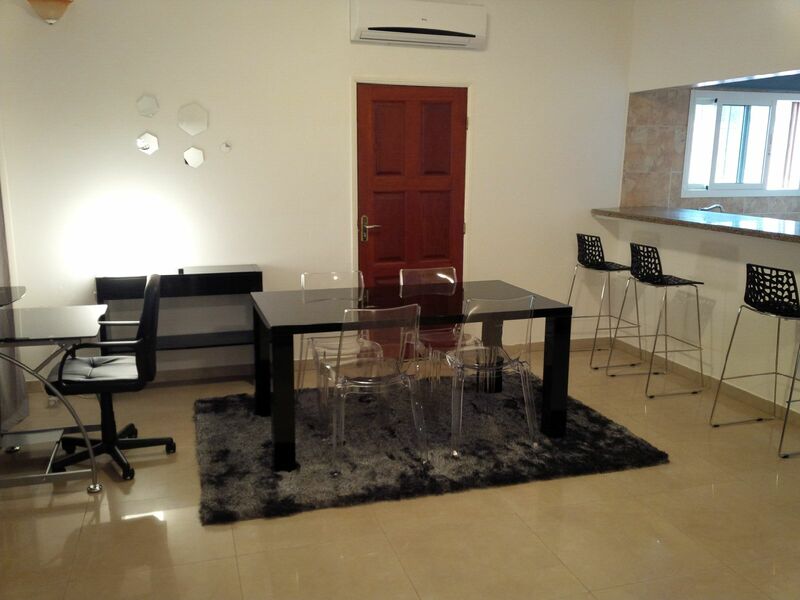 All houses are provided with the same equipments and services. 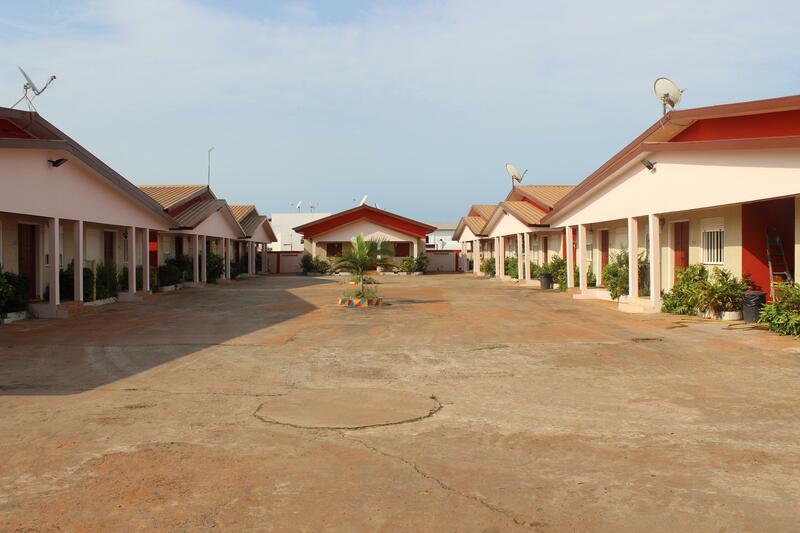 Our lodgings are regularly disinfected against mosquitoes, and other harmful small insects and animals in order to warrant a healthy comfort. Units include generators and tanks and suppressors. The resort is equipped with surveillance cameras for your safety. The laundry service is available every day except Sundays and holidays . Private guarded parking is available to customers, day and night. The minimum requirement for a rental is 1 month. For further information contact: sci-yassmani@hotmail.fr.